There are dozens of children's learning tablets, and it's a pretty much a given that your kids absolutely want one. At a price tag that might make you think twice, plus the investment of more games, apps, music, and headphones, it's important to do your research before you hand over your credit card. What are the major differences in the LeapFrog Epic and the LeapFrog Platinum tablet? Every child's skill set, interests, and needs are different, and they must be considered first. But it's also important to look at the differences in the hardware and software between these two devices. Both tablets are recommended for kids ages 3 to 9 and provide access to LeapFrog's educational software and learning opportunities through apps and a secure LeapSearch wifi connection. While the processors are slightly different, both have internal lithium-ion rechargeable batteries that last at least five or six hours. The LeapFrog Epic seems to include more customizable details with the home screen and for parental controls, as well as more detailed profile configuration if several children are sharing the device. The LeapFrog Epic allows parents to download the Amazon App Store onto the device and is not compatible with any LeapFrog game cartridges that a family has bought at a store or owned from a previous device. 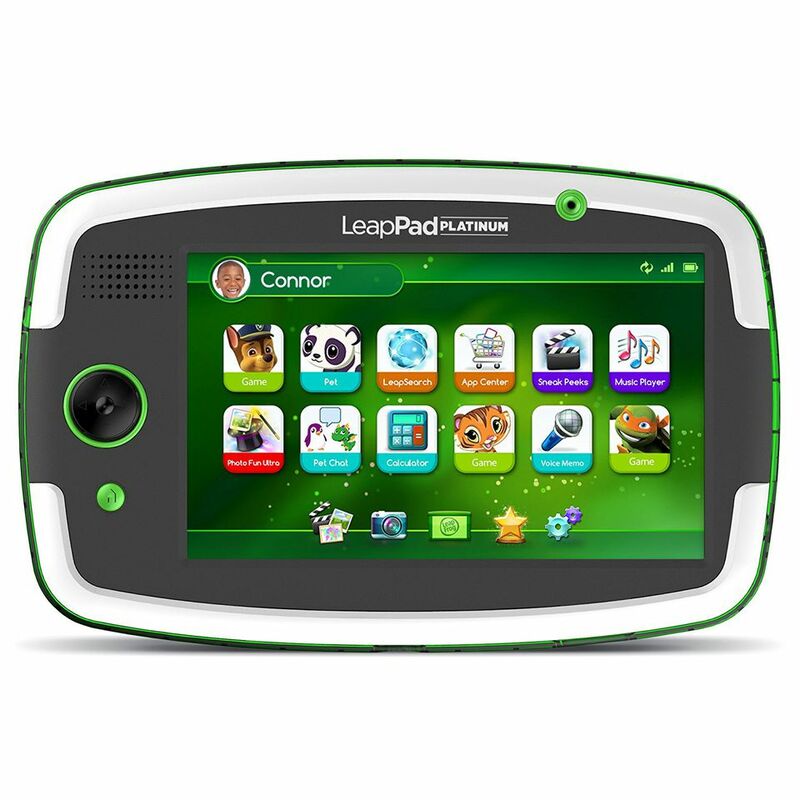 The LeapFrog Epic is compatible with any other apps that were purchased from the LeapFrog App Center. The LeapFrog Platinum is reminiscent of all LeapPad tablet systems and is able to play all game cartridges from previous LeapPads. It includes a D-Pad for different gaming options. While both tablets include slightly different features and look a bit different, both tablets include educational content for children monitored by developmental experts. LeapFrog aims to give parents peace of mind, so they can easily hand over a device to a child and feel confident that their kids are having a safe and educational experience. Buy either the LeapFrog Epic or the LeapFrog Platinum on Amazon.com.